It’s cold out there. 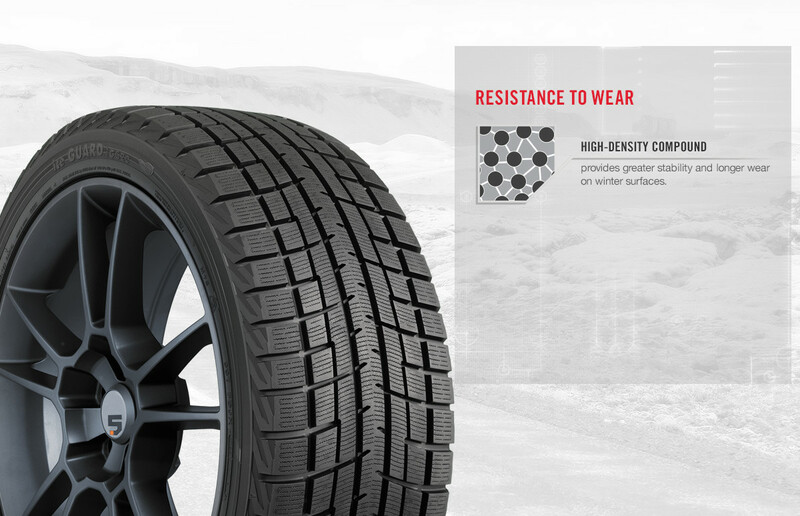 The road ahead is full of challenges. 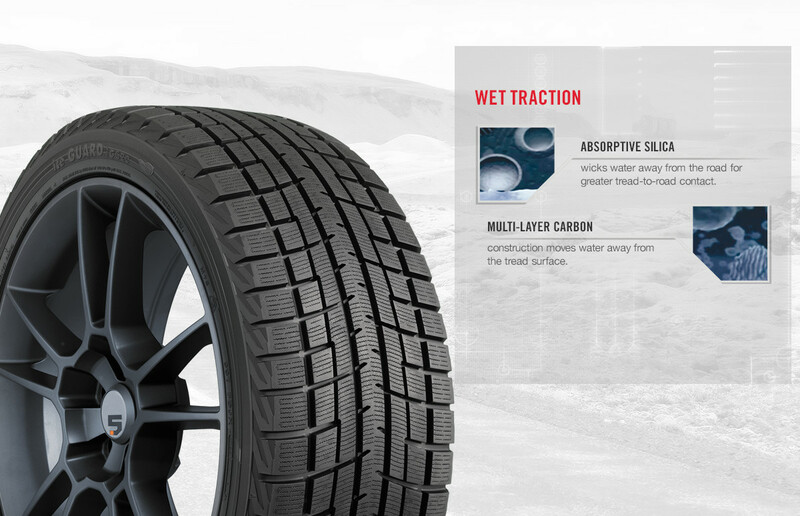 But I’ve got your back. 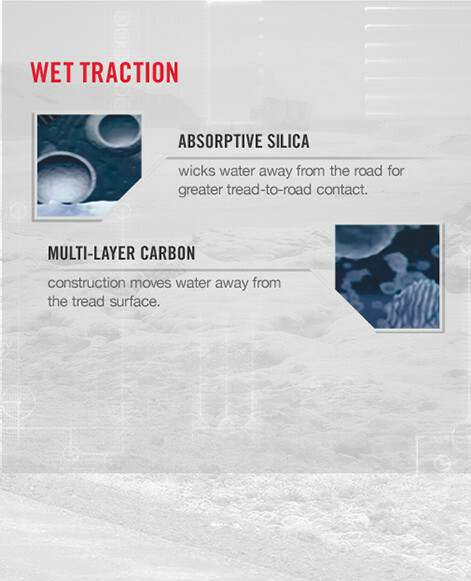 Absorptive silica wicks water away from the road for greater tread-to-road contact. 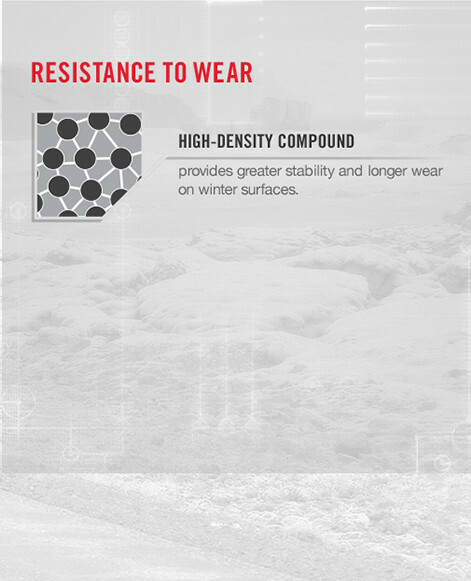 High-density compound provides greater stability and longer wear on winter surfaces. 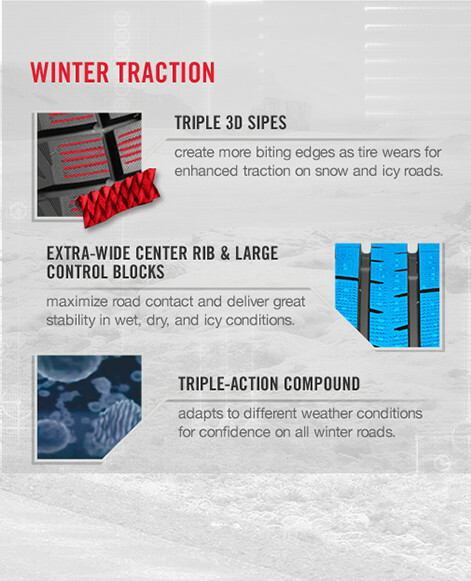 Triple 3D sipes create more biting edges for traction on snow and icy roads.